Curio 8 runs on OS X Lion (10.7) or OS X Mountain Lion (10.8). Curio 8.1 adds a number of new features for you to enjoy. By popular demand we have added new highlighting colors for your PDF annotations. In addition to the standard yellow, Curio now has green, blue, pink, and purple. The specific colors should match both Preview and iBooks as closely as possible. Curio can now spread a short PDF within a single idea space. This is incredibly useful if you have a small PDF you wish to annotate, where the full Spread PDF feature would be overkill. To review, with the normal Spread PDF, you construct an idea space containing a PDF figure and any other figures. You can manually duplicate those figures down or across the page incrementing the displayed PDF page in that figure. In the end you may end up with an idea space displaying perhaps the first two to eight pages of the long PDF. You then right-click on the idea space in the Organizer and choose Spread PDF and Curio will duplicate the idea space as many times as necessary —incrementing the displayed PDF pages as well— so that you have a large collection of idea spaces all set for taking notes. With the new feature, if you have a PDF with 20 or fewer pages, then you can select the PDF and any other figures, right-click directly on those figures and choose Single Page Spread PDF. This will spread the PDF and any other selected figures down the page, incrementing the displayed PDF page, and growing the idea space as needed. This has been a very frequent request, especially by students and workers who take notes in classes and meetings. Currently this feature will simply spread the PDF down the idea space. After the process is completed you can always move them around manually to create more complex arrangements. Curio now has a very easy way to add space to your idea space or between your figures. If no figures are selected then the Insert menu items will show options for adding space to the overall idea space. With these options, Curio will add some space to the bottom or right side of the idea space. If your idea space is set in the Dimensions inspector to automatically grow by pages or screens in that direction then instead of a few pixels Curio will add a full page or screen, as appropriate. If one or more figures are selected then the Insert menu items will change to show space will be added below or to the right of the selected figures. With these options, Curio will add some space to the bottom or right side of the selected figures pushing all figures on the idea space that are located below or to the right of the selected figures. This is useful when you want to add a big gap in the middle of a complex idea space, scooting everything down starting at this location. If one or more figures are selected and the Shift key is held down then the Insert menu will change to show that only the area directly underneath or to the right of the selected figures will be moved. Now Curio will add some space to the bottom or right side of the selected figures pushing only those figures directly affected (recursively) by moving the selected figures below or to the right of the selected figures. For example, if you just want to scoot figures directly below the selected figures down, leaving figures to the sides as-is, then hold down Shift and choose the menu item. Internal and external curio:// links to items within Curio, created via the Copy As > Hyperlink command, are now handled much more robustly. If Curio cannot find the project path we ask the user to find the project for us. We then store the new path in a ProjectPathMapping.plist file in Curio's Application Support folder. That way, if you later click on another link with the same project path specified we'll immediately look it up and find the new project location. The result is a much smoother experience for customers who periodically rename or move their projects. Curio no longer relies on native window restoration (or NSQuitAlwaysKeepsWindows) for the secondary view splitter position, orientation, and the primary and secondary view contents. Instead we're handling this ourselves and storing it with each project. When possible we're restoring the exact splitter position; however, if the overall window dimension has changed since the last opening then we restore based on the percentage of the previous display. We're also now storing whether a shelf is being displayed in the application preferences so we can restore that regardless of which project you open next time. Much faster handling of the spacebar when going into "grabber" mode to scroll the window around. Added DuckDuckGo to Sleuth and updated the Fotopedia Sleuth definition file. Made the idea space pinch gesture handler less sensitive to avoid unwanted zoom in/outs. Fixed issue where Calendar and Reminder items could get removed during a sync. Fix to the CSV exporter so multi-line entries will be appropriately quoted so they can be imported correctly as a single cell in Excel. 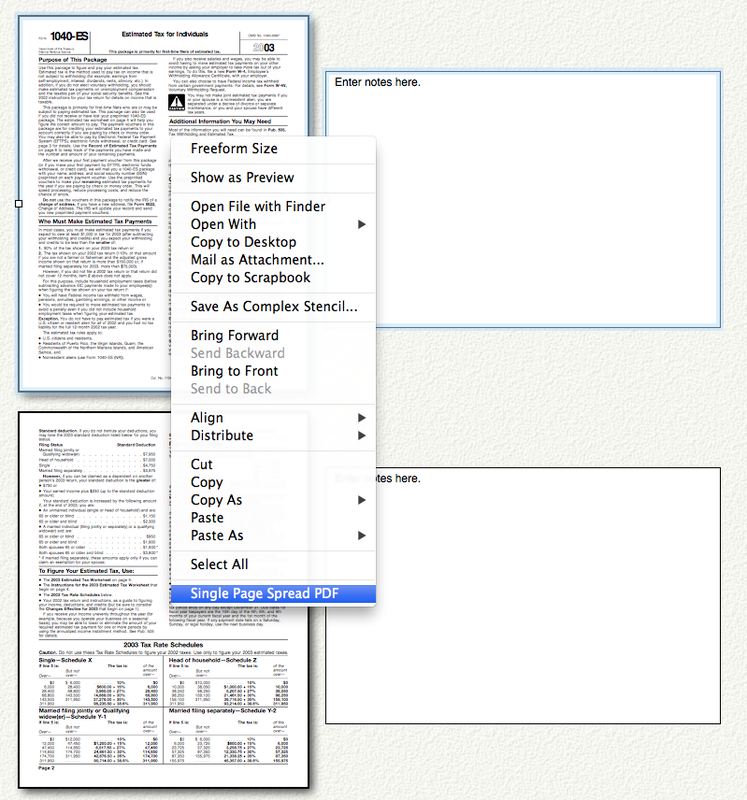 Tweak to the Print PDF to Curio Scrapbook handler to be more reliable especially if you have a large Scrapbook asset library. Fixed issue where Notes inspector could forget changes if you jump quickly between figures, making Notes changes to each.